Home Exchange is a fast growing part of the world’s sharing economy. To help people around the world learn more about how to enjoy fabulous vacations while saving money, International Vacation Home Exchange (IVHE.com) just released the full audio version of the already popular digital version of the Home Exchange Guide. This useful guide is great for people new to home exchange as well as providing hints and tips for those experienced in home swapping. The latest announcement from IVHE about the release of their audio-books has come as a gift for those who love home exchange and at the same time want to save a fortune on travel costs. Following the successful release of the digital copy of the Home Exchange Guide, they have now produced an audio version of the book. You can begin downloading and listen to the audio format to get all relevant information about home exchange and home swapping for vacations. If you like traveling and enjoy yet still want the comforts of a home away from home at your vacation destination you will really enjoy this audio-book,. It is divided into eight chapters, each has all the relevant information to keep the listener engaged and entertained. Some of the hot topics related to home exchange include why you should choose home exchange, are all home exchanges the same?, why you should choose a good network for home exchange, how you can get an exchange, plus many more. You can listen to all eight chapters from the IVHE podcast channel. 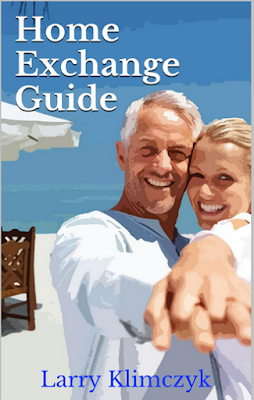 The digital version of the Home Exchange Guide can be downloaded Free at www.ivhe.com/home-exchange-guide. ‘Home exchange is a great way to travel the world, live like a local and save thousands on accommodation costs. On average, our members save over $5,200 on a two week vacation. 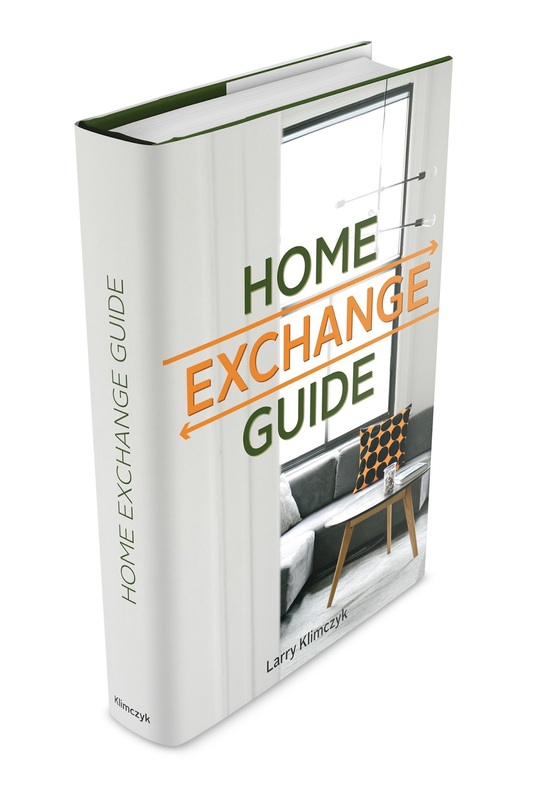 We are pleased to offer a FREE Home Exchange Guide that is full of useful tips on how to get started and make the most of your home swapping vacations.’ States Larry Klimczyk, Executive Director of IVHE.com and author of the book. Larry is a passionate traveler and uses his wealth of home exchange experiences to make this series interesting for listeners. There’s an Irish saying “May you find what you’re seeking wherever you roam.” If what you’re seeking is beautiful landscapes, breathtaking vistas, a well poured pint and the friendliest locals then roaming around Ireland is a must for your bucket list. Planning a visit to the Emerald Isle takes a bit of planning to cover the vast countryside. I’ve put together a few highlights to help you make the most of your journey. Whether you are flying into Dublin or just planning on making your way there, you’ll definitely want to spend a day or two enjoying city center. Some of the major attractions you’ll find in Dublin would include Dublin Castle, St. Patrick’s Cathedral, The National Museum, Christ Church and The Guinness Storehouse. At the Guinness Storehouse you’ll learn all about Ireland’s famous beer and have a chance to have a proper pint at their rooftop Gravity Bar while taking in the 360 degree views of the city’s skyline. 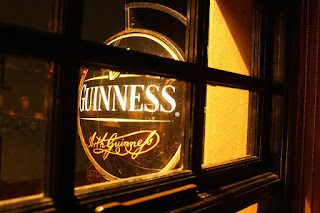 Be fairly warned that a pint of Guinness enjoyed at the Guinness Storehouse will surely turn you into a bit of a brew snob as no place else could ever duplicate the freshness or pour it as well. Luckily the Storehouse is on the city’s Hop-on-Hop-Off bus tour, which is good to know should you decide to stay for another round…or two. After you’ve enjoyed the sights of the capital city you’ll want to head south towards County Cork. Along the way you’ll find Wicklow and Waterford. You may choose to stop at the House of Waterford Crystal for a tour and a souvenir. County Cork is home to the famous Blarney Castle. No holiday in Ireland is complete without a trek up the 127 steps in a pilgrimage to kiss the Blarney Stone and be endowed with the gift of gab. Kissing the Blarney Stone is no easy task and if you suffer from acrophobia you may wish to take a pass on this one as the participant needs to lean over backwards on the parapet’s edge while lying on your back. There are assistants on hand to hold your legs as you dangle backwards and upside down for the actual kissing of the Blarney Stone. Rest assured there are wrought-iron protective crossbars to stop you from actually falling through. If you’ve waited in the queue and the height didn’t scare you away then there is a photographer on site to capture the moment and photos are available for purchase in the gift shop. Is it a bit of a cheesy touristy trap? Of course it is but c’mon, why not? From Cork you’ll want to head up towards County Kerry but not before making a stop at Kinsale and Skibereen along the way to enjoy these picturesque towns. The Irish brogue in this part of the country can be quite thick but as in all of Ireland the local folks are most warm and welcoming even if you only understand part of the conversation. Once in Kerry you’ll want to drive The Ring of Kerry which follows the outskirts of the Iveragh Peninsula. Killarney is considered the starting point of The Ring of Kerry and one of my favorite towns. You’ll want to spend some time wondering around the streets of Killarney enjoying the local flavor before starting out on your journey. You’ll take in some of the most beautiful views the country has to offer along this route. Next stop would be a visit to the Dingle Peninsula area. The driving in this area can be quite challenging. The roads are barely wide enough for one vehicle let alone two and often times you will need to shift into reverse and back up for quite a while in order to let an approaching car make their way through. Be prepared to share the road with sheep and cattle and it’s not unusual to find stone walls and hedges as a close barrier on the side of the road. Consider it all part of the Irish countryside charm. It’s worth mentioning that sunshine and favorable weather are considered a bonus in this corner of the world so pack your Wellies and a mac and don’t let gray skies get in the way of enjoying what will surely be a most memorable holiday. You can round out your trip along the Irish coastline with a stop in Galway and a visit to Aran Islands before making you way back across the country to Dublin for one final Guinness before heading home. View IVHE properties available for home exchange in Ireland and find out more about how to enjoy your holiday in a home away from home. 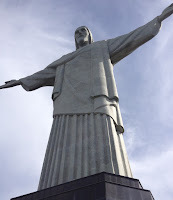 Thank you to Lisa Medeiros, @LisaMedeiros_ a passionate traveler and writer. Vacations almost always feel too short. 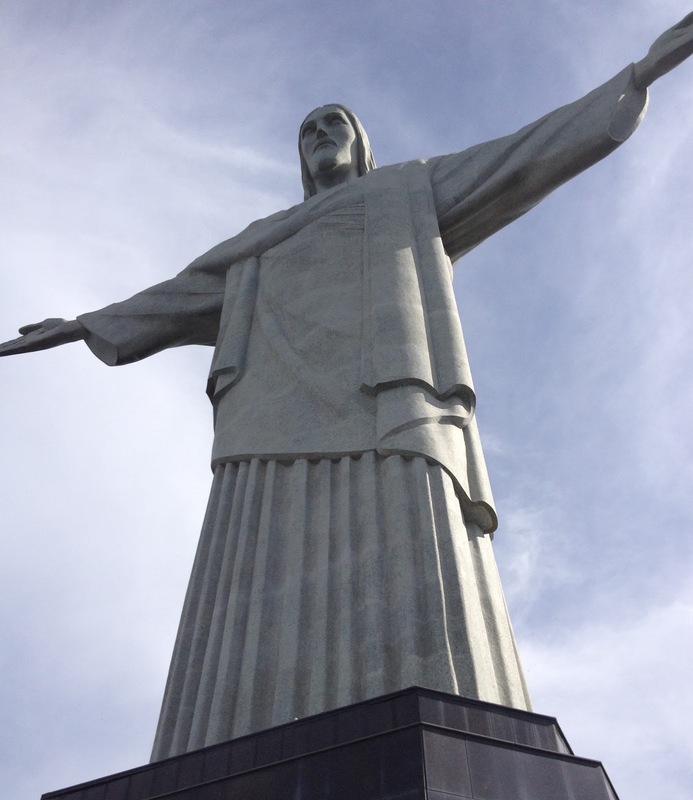 There often isn’t enough time in the day to see all of the sites a new destination has to offer, but doing some pre-planning for your next trip could ensure that you at least hit the highlights. While you’re riding high on the anticipation of your vacation, take the advantage of the momentum and do some due diligence to make sure you come prepared. Of course, the first step will be finding the perfect place to go. Whether you already have a spot in mind or you’re still trying to pinpoint the best place to travel to, International Vacation Home Exchange, IVHE.com’s Property Search feature can help you select the perfect place. You can narrow your search down to specific home types (from villas to retirement communities, and everything in between), or even specify vacation “themes” such as beach, mountains, romance, or history. Some of the property descriptions (like this one in Arizona) even offer excellent suggestions about what to do in the area. Just taking a look at the properties will help you define exactly what you’re looking for in a destination. Once you’ve got the perfect spot in mind, it’s time to figure out what’s on your must-see list. A lot of the fun of taking a trip will always be discovering new things by happenstance, so by no means should you try to plan out every minute of your day – that kind of saps the fun out of the vacation, after all. However, you don’t want to return home from your trip, only to hear from someone else all about the best little Italian restaurant that you missed out on. Before you pack your bags, take to sites like Trip Advisor and Yelp to see which attractions, restaurants, and locales are top-ranked. Putting some of the “top 10” elite in your itinerary will help you curate a stellar vacation. Make sure to actually read descriptions and reviews as well, to determine if a place is up your alley. If you can’t stand the smell of smoke, even the highest ranked bar in town is going to be a disappointment to you if it also happens to be a cigar bar. You know best what you like, so don’t just go with the crowd. If you have particular interests (whether you’re a museum fanatic or you just really love a good burrito), search for them within review sites so you have an idea of what’s available nearby. In a perfect world you’d have a friend or family member who’s familiar enough with the area to give you some pointers, but since that’s not always the case you need a plan B. Reading articles and blogs is another way to crowd source vacation ideas from people who have hands-on experience. Of course, the IVHE blog is a great place to start. You can also search for local news, blogs, or tourist information sites to get yourself pointed in the right direction. News sources often offer community calendars of upcoming events, and by reading the local writers you might find out that there’s a happening music scene, thriving local business marketplace, or historical downtown to look out for. Doing an hour or two of research before a big trip can save you regret over a particularly bad meal, a sketchy bar, or – worst of all – an uninteresting vacation. Of course you should keep your eyes open for spontaneous things to do as you travel, but a little research is certainly never a bad thing. By turning to reviews, you get tailored leads on what other travelers have loved. By reading up on the local sources for info, you get an insider perspective from those who know the area best. You’ll certainly be mad that you didn’t do your homework if you find yourself eating at the same chain restaurant for the third time in a week, so get to thinking now. Many thanks to our blogger Emma Sledge. Home exchange is a convenient, budget friendly way to take a holiday anywhere in the world, and live like a local; travelling and exploring new places has never been so accessible. If you don’t mind sacrificing room service and a maid, you can benefit instead from kitchen facilities, a car and free parking. The Knowledge Academy’s travel expert Ben Richardson explains ‘you’ll get the real travel experience, living like a real local within a real community – that’s the best part about home exchange. That’s its unique selling point’. Sold yet? If so, you’ll need to read on. Here are our top tips on efficiently preparing your home for a home exchange – so that you can make your home swap as seamless and smooth as possible. You don’t have to do a full on food shop, but it’s just common courtesy to make sure guests have some tea, coffee, milk, sugar and condiments on hand to welcome them to your home. They could have been travelling for hours – and arrival times vary – meaning the shops may not be open when they arrive gasping for a drink! Be sure to clear out space in cupboards and closets so your guests don’t end up living out of a suitcase for the duration of their stay – remember you want them to be as comfortable as possible. As well as clothing space, clear all left overs and food that could go bad out of the fridge, leaving space for guests to bring in their own foodstuff and refreshments. Although seemingly obvious, you’d be surprised as to how many people forget to do it! Washing machines, dishwashers etc. all work slightly differently, and we’re not all tech-savvy, so ensure guests have well-written instructions so they don’t get stuck. Need three remotes to turn on the television? Tell them! If you have a pet, you should have already cleared it with your guests before you agreed to do the home exchange in case of allergies or phobias. If your guests have kindly agreed to look after your furry friend, then leave them with plenty of food, instructions on your pets eating habits and movements throughout the day. Moreover, leave a telephone number of the local vet in case of emergencies; you could even leave a credit card on file with your vet so your guests aren’t worried about fees. Your guests won’t be familiar with the area, so make sure they feel safe and secure by informing them of all the security in place. If your home has an alarm, leave detailed instructions of how to turn it on and off – the same goes for any doors that should be locked or security lights that need to be turned on. This will put your guests at ease and ensure they can concentrate solely on enjoying their stay. 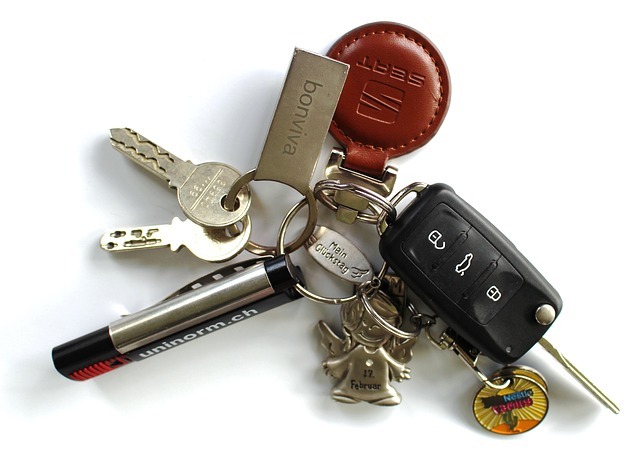 Finally, leave a set of keys with some trusted neighbours in case your guests lose theirs or lock themselves out. As much as we hope our guests will treat our home with respect, accidents happen. Anything particularly precious to you, things with sentimental value or equipment you don’t want used (e.g. make-up, hair products etc.) should be locked away in a safe, otherwise your guests may think you have left it out for their use. Do you have a window that doesn’t quite shut without a shove? Or a tap that drips all night long? Save your guests the stress or worry that they’ve caused these issues and hire a handy man (or get on with some DIY) before the home swap gets underway. You don’t want to cause alarm to your neighbours seeing a new family coming and going from your house, so just let them know the house swap is happening. As aforementioned you can leave a spare set of keys with them for your guests’ peace of mind, plus, they can keep an eye out for any troubling conduct such a loud music or antisocial conduct. Begin the swap on a friendly note by leaving a little welcome gift for your guests on arrival. A bottle of wine or champagne always goes down well, as does a fresh vase of flowers or simply a greeting card. If your area has any local delicacies or sweet treats you could leave some of these out – perfect if your guests arrived hungry after a long trip! The littlest gestures can make the biggest impact, and elevate your guests stay from merely pleasant to the trip of a life time. Thank you to Leila Glen, specialist in the housing and employment industry, writing and researching the latest news. Wow! Your vacation is getting near! You’ve worked at saving money on travel so you have a little extra to really enjoy your trip. Of course, as a savvy traveler you’ve not only been looking forward to this trip but planning like mad as well. 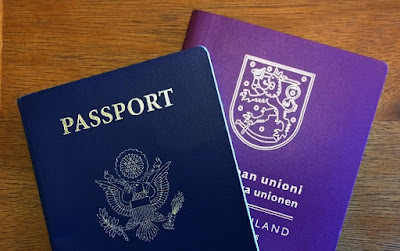 Travel reservations - Check! Outfits for dining, lounging, swimming, etc - Check! Passport and travel documents - Check! Lots of those little travel sized toiletries and so forth - Check, check, check! Sports gear - Check! That novel you’ve been meaning to get to - Check! In all the excitement of packing, planning what you’ll do, and so forth, don’t forget to check whether you have enough medication to get you through your trip. And we’re not just talking about your prescription medication either. Be sure that you have either enough of your over the counter medications to see you through your journey or that there’s a source to get more of them near where you’ve set up your home exchange or other accommodations. Another great idea is to find out the names of your over the counter medications in other countries. For example, in the UK a common pain reliever is known as Paracetamol. But in the US it’s known by the brand name Tylenol or the generic name acetaminophen. To help find out more about this, here are a link and an app for your smartphone which might help you look up international drug names. With regard to you prescription medications, there are a couple of things you can do to make sure you have enough medication on hand. The first and easiest is to see if you can get a prescription written for enough medication to see you through. This will involve checking with your physician to request the prescription and with your insurance to make sure they’ll permit it to be filled. 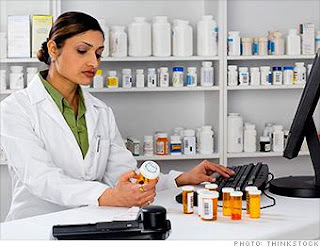 Sometimes insurances, especially in the US will have requirements that prescriptions for more than a 30 day supply be ordered from an online or mail order pharmacy. If that’s the case, you’ll need to be sure to plan to get the order in well ahead of your departure date. If you’re not planning an extended stay, see if you can get your medications refilled early. In some cases you can get a refill some 7 to 10 days before the current prescription is exhausted. The trick here is to check with your pharmacy first. Each one can have different rules about refill schedules. Again, a bit of planning ahead can really save a lot of scrambling at the last minute. 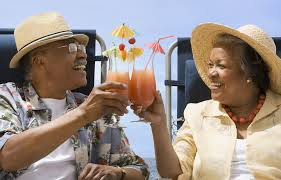 So whether you’re looking to do a holiday home exchange to get away from it all in sunny Antigua or on the slopes in Sun Valley make sure that your trip stays happy and healthy by checking on those other essentials. Picturesque St. Augustine, Florida is America’s oldest city, with over 450 years of history jam packed into quaint cobblestone streets and low coquina walls. It’s famous for many things: the shopping, the beaches, the food, the history, the hauntings, the churches, and the architecture (to name a few). Like any popular tourist destination, there are a certain number of “tourist traps” that seem to channel the bulk of the public’s attention. St. George Street is the main pedestrian shopping drag, and it’s always chock full of eager-eyed visitors looking for a unique gift or a bite to eat. Now, there is nothing inherently wrong with these kitschy shops, all candy stores and beach towels, but if you’re looking for something a little more off the beaten path, you’ll have to get off St. George Street and seek out the local haunts. For starters, there’s Aviles Street; possibly the only place in the world where you can find a Polish deli, haunted antique store, an historic home, a Spanish military hospital, an art gallery, and a Cuban breakfast joint all within a couple of blocks of each other. On any given summer afternoon, you’re likely to find a huge crowd of people on Anastasia Island, just over the well-known landmark that is the Bridge of Lions. The beachgoers flock to Crescent and St. Augustine Beaches in droves, but what many don’t realize is that there’s a second island right around the corner. Vilano Beach lies just over a tremendous bridge that offers unbeatable views. It’s home to some gorgeous – and less crowded – beaches of its own, as well as several phenomenal restaurants and hotels. The history of St. Augustine, FL draws in a lot of visitors alone. Many come to catch a view of the well-preserved historical homes and buildings that make visitors feel as though they’ve stepped straight into the past. There are well-known historical places that get all the spotlight, but so much of old St. Augustine isn’t as frequented. Linconville is the name for the neighborhood that boarders the popular downtown area. A drive down King Street – which transects the historic tourist spots and continues on through stretches of residential neighborhoods, small gourmet restaurants, and treasure troves of pawn shops and furniture boutiques. As with any “must see” destination, there is a lot more than what meets the eye here. St. Augustine truly embodies what it is to tour a popular destination and barely scratch the surface. It took us well over a year to fully realize all there was to the quaint little town and to fully appreciate the sprawling world outside of the downtown area. St. Augustine is more than just a five miles strip of beach and a long row of gift shops; it’s miles of deeply wooded hiking trails, unique houses with hundreds of years of history still called “home” today, and some secret little beaches that make you feel like you’re the only one around. Let this historic Florida town be an inspiration to you on all of your travels. Seek out the unseen, think like a local, and don’t always follow the crowds. Enjoy everything that St Augustine has to offer while staying in a excusive vacation home with International Vacation Home Exchange, IVHE.com. Follow this link to view homes across Florida or click on one of the pictures above for listings in St. Augustine. When darkness falls, spirits are rumored to stir at haunted castles all across the world. Moss clings the ancient walls that hold secrets darker than night itself. What terrifying things went on inside these walls is anyone’s guess. The truth is forever lost in time. Lost are also souls that will forever haunt these historic fortresses. The possibility of moonlighting with ghosts and other paranormal activity has haunted castles at the top of the list of must-see attractions for many travelers. If you are brave enough, you can book a paranormal experience that includes a history lesson and a spooky tour that may scare the pants off of you. Okay, maybe not. But these castles also have a wealth of history embedded in the crumbing walls. Below is a list of some of the world’s scariest haunted castles that we dare you to visit. Built in the 11th century under the reign of King Phillip II of France, Brissac Castle looks like something straight out of a fairytale. Located in France, the stylish chateau is over seven-stories tall and has more than 200 rooms. But there is a reason why this fortress made this list. There is a dark story here that involves love, betrayal and likely murder. 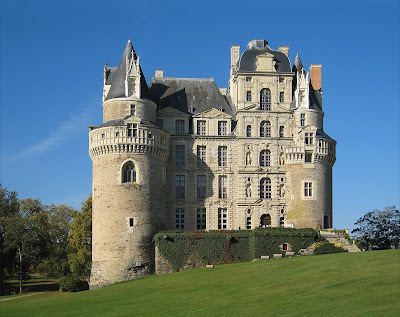 The story begins when husband and wife named Jacques and Charlotte purchased the Brissac Castle. Legend has it that Charlotte, unhappy with her marriage to Jacques, had relationships with other men. In fact, her husband found her in the arms of one of her huntsman. What happened to Charlotte and her lover afterwards remains a mystery to this very day. The two vanished without a trace. Some claim that Jacques killed both of them with his sword. Though centuries have since past, many claim to have seen an apparition of a woman wandering through the halls. Today, Brissac Castle hosts several events every year. You can even take a tour of the castle. To view International Vacation Home Exchange properties in France, click here. 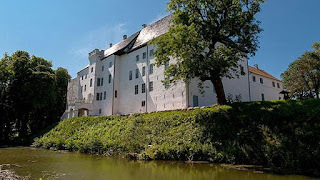 Moosham Castle is a medieval castle in the Lungau region of Salzburg, Austria. Prince Bishops of Salzburg built the castle back in the 13th century. Moosham Castle has a dark and sinister past. 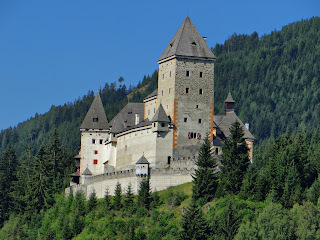 The castle was center stage during the Salzburg Witch Trails. In a span of more than a decade, thousands were tried and found guilty of witchcraft. Many of those convicted were beheaded within the walls of this Austrian fortress. Others were imprisoned and tortured in the castle’s dungeon. Legend has it that many of those killed still haunt the castle to this very day. In fact, Moosham Castle is now better known as Witches Castle. Aside from ghosts, other paranormal activity at Moosham Castle includes werewolves. Today, the castle operates as a museum. To see vacation home exchange properties in Austria, click here for more information. Built in the 13th Century, Houska Castle is located in the forests north of Prague. Many believe the castle was built over a large hole that is allegedly the “Gateway to Hell.” In fact, the hole is rumored to be so deep that no one could see the bottom of it. The castle itself was supposedly built to keep demons from leaving purgatory. Paranormal activity includes demons, a headless black horse, and a woman who is frequently seen peaking out of the top floor windows. Houska Castle is a ghost hunter’s dream, as so many questions about its past still remain unanswered to this very day. 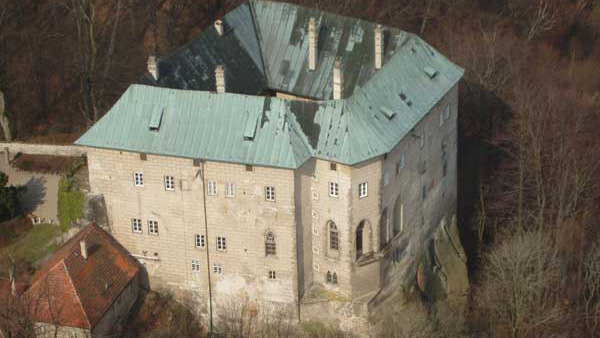 Houska Castle is about an hour drive from the city of Prague. A great place vacation home exchange near Prague is here. The ghosts of Christmas past, present, and future likely all call Dragsholm Castle home. The castle, built in 1215, is located on an islet in Denmark and is allegedly home to more than 100 ghosts. The White Lady may be the most famous ghostly resident of this massive fortress. According to legend, the mortal white lady was a young girl who was in love with one of the castle laborers. Her father was so upset over the ongoing affair, that he imprisoned his daughter in the walls of the castle, never to be seen or heard from again. In the 20th century, a skeleton was found in the walls of the castle. The skeleton was wearing a white gown. Many tourists have reported seeing her spirit wandering the castle, looking for her lost love. If you are brave enough, you can stay the night in Dragsholm Castle. If not, be sure to check out this International Vacation Home Exchange property in Denmark. If you would like more information about International Vacation home exchange, please be sure to visit our website, http://www.ivhe.com and save thousands on vacations (ghosts may or may not be included). For a festive time, think of the spectacular Greek Islands, specifically, Santorini, ever beckoning visitors to her heart-stopping shores, offers guests her welcoming hospitality. If you arrive in Santorini by ferry, you are greeted by hills plunging into the Aegean blue. Probably the most dramatic of all of the Greek Islands, Santorini offers not only natural delights, but culinary and cultural as well. Musician, Yanni’s rendition of “Santorini” expresses the exuberance of its landscape (not to get too new-agey or anything—Yanni can be corny, especially when he matches his outfits to his surroundings on album covers, worth a listen). The most exclusive area of Santorini is the Cliffside region on the northwestern side of the island. On the Cliffside, are the cities of Fira and Oia. Fira, the capital of Santorini, is the island’s largest shopping district. While some of the shopping consists of tourist bric-a-brac, there are also artistic shops where you can buy local artists’ creations. With many narrow and quaint cobblestone streets, make sure you bring your walking shoes as Fira is more pedestrian-friendly than auto-friendly (though there are numerous tour buses all over the island; for a lesson in skilled driving, watch the bus drivers negotiate the narrow streets and turns—truly amazing). Oia is north of Fira, and is known for its stunning sunsets. Be warned, however, that when the cruise ship crowd enters Oia, especially to watch the sunset, the village is packed! Ask local residents when the best day and time is to go into Oia. As far as shopping goes, Oia, like Fira, is a combination of tourist bric-a-brac and lovely, artistic creations. Between Oia and Fira, lies the small village of Imerovigli. Imerovigli is the highest point on the island, and in many people’s view, has the most dramatic sunsets. With exclusive hotels throughout Imerovigli, it may be cost-effective to consider a home exchange. The lovely Cliffside village is an exclusive, sought-after destination for many. Imerovigli epitomizes the famous architecture of the region; the clean, white homes coupled with views of the azure sea gives one a feeling of new beginnings and possibilities difficult to articulate here. The homes and the hotels on the cliff are very steep, so be prepared for the most part to climb stairs. Off the coast of Imerovigli is the truly unique geographic formation—Skaros. Skaros was the former capital of Santorini because of its strategic location and resistance to raiding by pirates. You can access Skaros from the Cliffside path. Remnants of the medieval architecture still remain; it is difficult to conceive of how the architect could design and the artisans build anything like it on such steep terrain. On the nether side of the Skaros facing the sea is a Greek Orthodox church, which seems to beckon a welcome to all who approach the Santorini coast. While most could climb near to the top of Skaros, it is recommended that only the young and/or deft scale the last part. It is truly steep! Even if your residence/hotel does not face Skaros directly, it makes for a wonderful photo at sunset with such an interesting geographical formation in the shot. You should not miss a stroll from Imerovigli to Fira along the Cliffside pathway. One passes numerous white homes and hotels contrasted with fuchsia bougainvillea and blue shutters and gates. 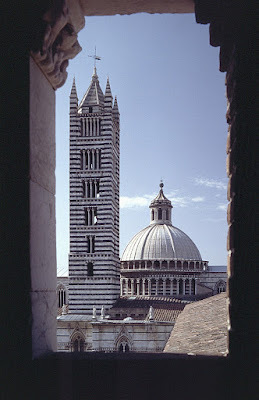 The famous but rare architecture is a joy. Also, dotted along the pathway are restaurants with stunning views—somewhere between heart-stopping and heart-breaking. If Santorini is on your bucket list, you simply must visit. From what a couple of Santorini seasonal workers report, slightly off-season September is the best time to go. To see home exchange options in Greece with IVHE, click here (Who knows? You might even see Yanni—probably wearing a blue and white outfit with a dash of fuchsia to match his surroundings! ).